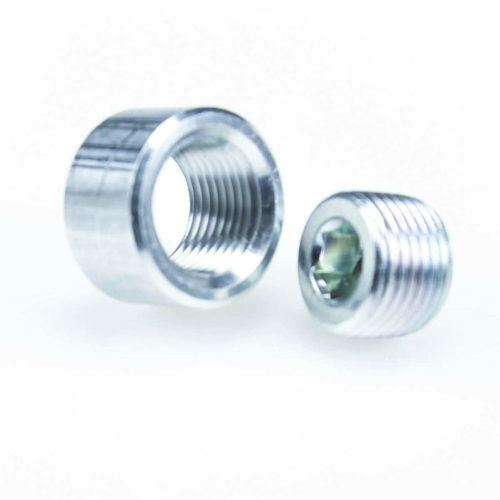 These are the proper GM-style sensors for use with the MegaSquirt line of ECUs and come with the weatherproof connector and crimp pins. One extra crimp pin is included as a spare. 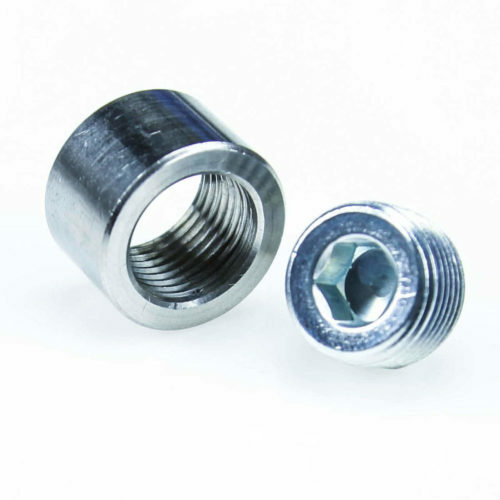 The threads are 3/8″ NPT pipe thread – note that isn’t an actual 3/8″ outer diameter but a pipe thread size based on pipe inner diameter. Yes. You can order a connector here: GM IAT sensor crimp connector. 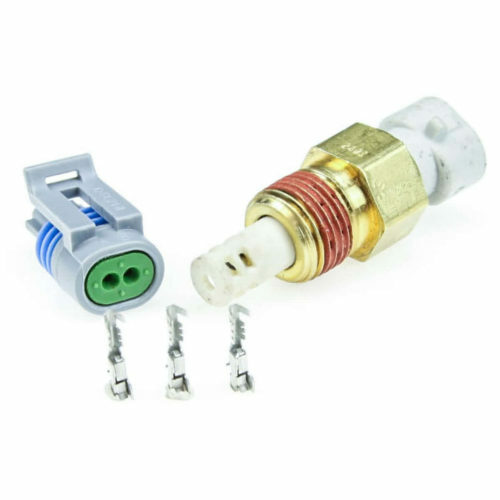 This is a somewhat different style connector from the one we ship with the sensor, but will connect to the sensor without any problem. Where exactly should I install this on my engine? We do not recommend threading it into the intake manifold except for supercharged engines where the supercharger attaches directly to the manifold. 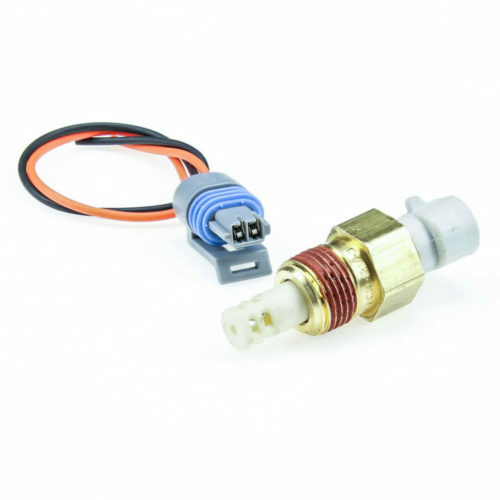 For all other applications, we recommend installing this sensor in the part of the intake system directly upstream of the throttle body. The reason is that the intake manifold often transfers heat to the sensor by conduction at a faster rate than it transfers heat to the incoming air. While there are ECU settings to compensate for this, mounting the sensor where it does not absorb so much heat will often make tuning easier. We don't have a full data sheet, but I have seen GM temperature sensors give a good reading up to the 250-275 degree F / 120-135 degree C range. Above that range, they start to run out of resolution and accuracy. The bias resistor is a component of the ECU, not the sensor. Most ECUs in the MegaSquirt family have a 2.49K bias resistor.